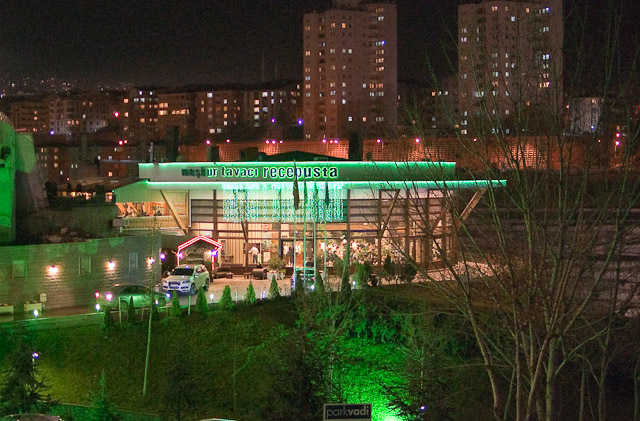 For much of my time in Ankara, everyone’s been telling me that I have to eat at Tavacı Recep Usta. It’s one of the best places in the city, they say. I finally got around to making the trip to Park Vadi this past weekend, and I must say it was an incredible meal. I left feeling very satisfied and impressed with the entire experience. Most importantly, it also reinvigorated Turkish cuisine in my life. On this blog I’m not shy about admitting that the food in this country can often become a bit monotonous. This was not the case at Recep Usta. It impressed with some old favorites while introducing me to dishes that I had never previously encountered. 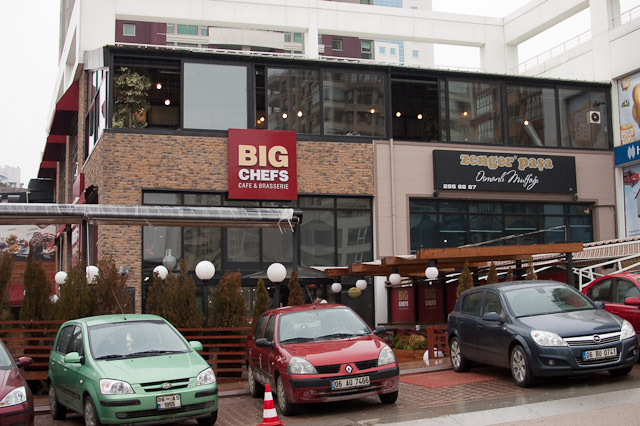 It would be a mistake to visit Ankara without enjoying a meal here. Recep Usta gets its name from its proprietor, Recep Budak (“Usta” is a term of respect given to one who has mastered his trade). Born in Diyarbakır in 1961, he opened his first restaurant at the age of 17 and completed his military service as an officer’s chef. Budak brought his signature pan cooking to Ankara and Istanbul in 2002. Upon being seated at Recep Usta, your table is served a large spread of mezes, including etli ciǧ and içli köfte, eşkili patlıcan dolma, çorban salata and ezme. All are very tasty. For entreés, the menu offers a wide variety of kebabs, grills and other selections from the Diyarbakır region. The pirzola tava and kaburga dolma were recommended by the waiters as specialties. My friends and I ordered the latter, which is stuffed lamb rib served over seasoned rice, and were quite impressed by the moist, flavorful meat. We also enjoyed the ali nazik and beǧendili kebap. The beǧendili, in particular, was my favorite. Consisting of lamb in a cheese-eggplant pureé, the dish offered the sort of dynamic taste that I often find myself missing in Turkey. The ayran at Recep Usta is worth mentioning as well. I personally didn’t care for it. But my companions, none of whom like ayran at all, found it to be quite palatable. Perhaps it’s an non-ayran drinker’s ayran? You’ll have to let me know. 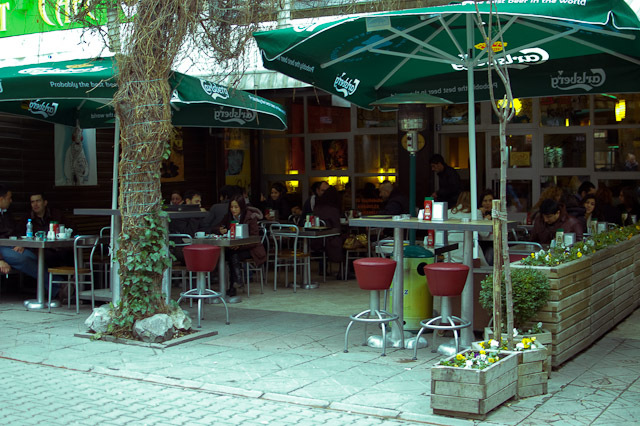 Tavacı Recep Usta is located in Dikman Vadisi (Park Vadi) in Çankaya (Google Maps). Expect to spend at least 25TL ($17 at 1.46TL/$) per entreé. The mezes are free. Posted by Steven Bartus in Foreign Cuisine, Turkish Cuisine. Named after the satirical Turkish comic book series, LeMan Kültür provides some much-needed novelty to the Ankara dining scene. This popular eatery bustles with city’s student crowd and offers a pleasing fusion of Turkish and international cuisine. Amidst the artistic décor and pulsating music, it’s a fun place to share a meal with friends before heading out for a night of revelry in the clubs and bars around Sakarya Cad. The food at LeMan is good, but by no means life changing. It could be described as something comparable to the American “casual” dining franchises (T.G.I. Friday’s, Applebee’s, Chili’s, etc.). LeMan’s menu is large and diverse, with options ranging from pesto tortellini to Chinese egg rolls to chicken fajitas. They provide welcome alternatives to the staples of Turkish dining that pervade most Kızılay restaurants. LeMan also puts a twist on some of these favorites, a good example of which is the köfteli sandviç. Topped with an excellent eggplant-garlic-cheese sauce, this sandwich has been something of an addiction for me and many of my friends over the past year. It revitalizes the ubiquitous köfte meatballs found all over the city with a dynamic flavor that manages to satisfy both your taste and your appetite. And at 8.50TL ($5.80 at 1.47TL/$), the price cannot be beat. LeMan Kültür is located on Konur Sk., off Meşrutiyet Cad., in Kızılay (Google Maps). There appears to be another branch in Bahçeli (Google Maps), but I can’t comment on its similarity or quality. Prices at LeMan are reasonable and range between 6TL and 14TL ($4.00 and $9.50). A good variety of alcohol is also served. For those who are tired of Efes Pilsen (i.e. every non-Turk in Turkey), there is Tuborg on tap.